Use these Black 3D Foam Squares for dark papers or shadow boxing - keep the attention on what's popping off the page, not what's behind it! Is your paper craft project looking a little flat? Try these! They are great for layering or just adding a little dimension. No more dealing with flimsy, low-density foam products that are difficult to remove from the liner! 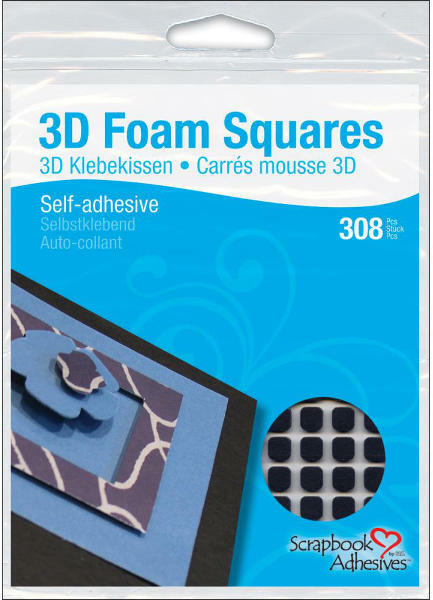 These high-density Black 3D Foam Squares will ensure strong permanence, ease-of-use, and great dimension for any scrapbook page.